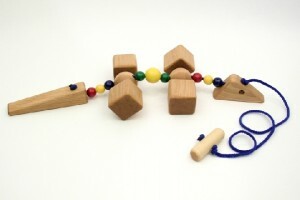 Toy Factory Wooden Toys: Excellent Play Value, Safe & Strong. 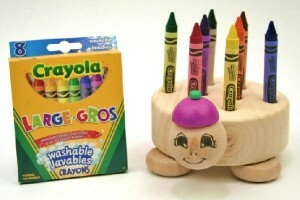 We make our Toy Factory Wooden Toys the old-fashioned way: by hand, one-at-a-time, in our own toy-making workshop. We start with Canadian pine and maple. 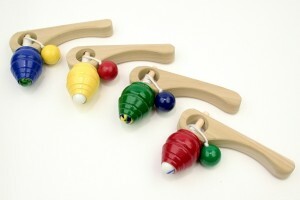 We use good old-fashioned white glue, wooden pegs and clamps… no plastic or metal parts, and no chemical finishes. 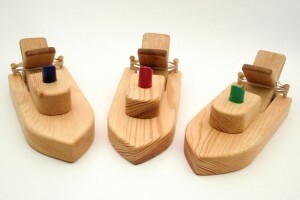 Most Toy Factory Wooden Toys are left as natural pine, with no paint or varnish, providing a more natural tactile experience. We use non-toxic, water-based paints to add color to smokestacks, hats and balls, and we use ordinary vegetable oil to waterproof our Paddle Boats and Lobster Boats. 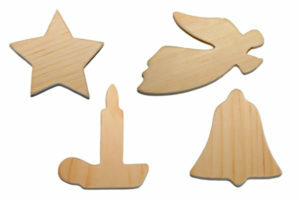 The simple, natural designs of our wooden toys encourage babies, toddlers and young children to use their imaginations. Our Old Time Car can be a Model T, a London Taxi, a Delivery Van or a Mars Rover. 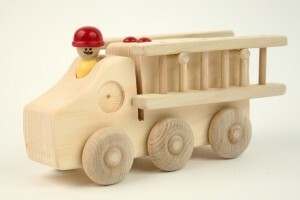 It’s not just fun for children to play with our little wooden people, to hook up our 5-Car Train or Farm Tractor & Wagon and stack little logs on our Log Truck… it’s imaginative play that helps develop hand-eye coordination and fine motor skills. Every Toy Factory Wooden Toy is individually tested for safety and durability, and our wooden toys meet all North American toy safety standards. We know our toys are strong and safe – they’re play-tested by kids of all ages in our toy store every summer. 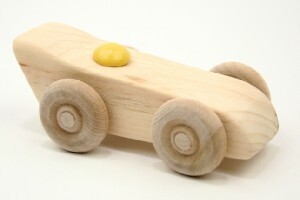 In fact, all Toy Factory Wooden Toys carry an Unconditional Lifetime Guarantee… because good toys should last a lifetime.